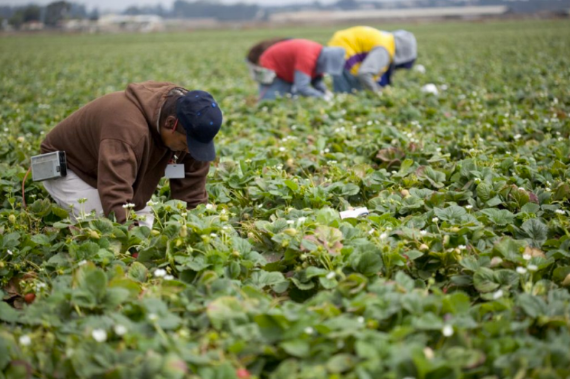 An unfamiliar car pulled into the labor camp of a blueberry farm in Southern New Jersey last month, and the four year-round farmworkers on site stopped what they were doing, went inside, and locked themselves in their rooms. Afraid of being deported by federal immigration agents operating with increased authority since President Trump signed an executive order to that effect in January, the workers stayed locked in their rooms overnight, forgoing dinner and talking to each other through the walls rather than in the open. North Carolina’s commercial fishermen—who work primarily in independent, small-scale operations—landed 66 million pounds of fish last year, but rather than ending up on North Carolina plates, the majority was whisked out of state to markets where it could fetch a higher price. Elsie Herring stays indoors on the days the industrial hog farm next door sprays manure from a lagoon-like holding pit across the field that ends eight feet from her kitchen window. Because a filthy mist coats her property if the wind is blowing from the west, Herring has learned to avoid activities like sitting on her porch, grilling outside, hanging laundry on the line, opening windows, and drinking water from the well. With its almost 10 million hogs and 148 million chickens, North Carolina holds some of the highest concentrations of factory farms in the United States. So when Hurricane Matthew dumped more than 15 inches of rain and set off historic flooding in the parts of the state most densely populated by livestock, it created problems—for the farm operations themselves and for the land and people nearby.